The 2015 National Football League season kicked off last night featuring the defending Super Bowl XLIX champions, the New England Patriots, versus the Pittsburgh Steelers. The final score: Patriots 28, Steelers 14, with the Patriots starting their “ideal” season ending up on the road to Super Bowl 50. And with the start of the season, Brand Keys is proud to announce the results of our 23rd annual Sports Fan Loyalty Index. It turns out consumers also have an “ideal” – an ideal team. Teams able to better meet fans expectations for that Ideal, always end up winning in the Loyalty Bowl. There’s no trophy, but it comes with something more important – emotionally engaged fans, increased game viewership, and increased purchases of licensed merchandise. The Sports Fan Loyalty Index was designed to help professional sports team management identify precise fan loyalty rankings in their home and national markets with insights that enable the league and team to identify areas – particularly emotional ones – that can use some strategic brand reinforcement. Those insights are always based upon the fans’ “ideal team,” and that means values more than just a win-loss ratio. Think of the Sports Fan Loyalty Index as providing an apples-to-apples comparison of the intensity with which fans within the team’s home market catchment area support the home team, versus corresponding values for the fans of the other teams or leagues. History and Tradition (30%): Is the game and the team part of fans’ and community rituals, institutions and beliefs? Fan Bonding (29%): Are players particularly respected and admired? Pure Entertainment (21%): How well a team does, wins and losses sure. But even more importantly than a win-loss ratio, how entertaining is their play? Authenticity (20%): How well they play as a team. What’s the offense and defense like? New managers, as they’re seen to be responsible for the genuineness and credibility of the team, can also help lift this driver. Sometimes a new stadium can affect this driver. Look, all teams show up intending to win. That’s the reason they’re there and why players get paid gabillions of dollars each year. But the nature of sports fan loyalty is that overall league and team rankings correlate very highly with game viewership and purchase of licensed merchandise. You shouldn’t confuse “History and Tradition” with fan dedication. There are lots of teams in all the major leagues where team allegiance is based on a this-has-always-been-my-team-and-my-dad’s-team-do-or-die-and-wait-until-next-season. But since the team engagement numbers and loyalty rankings can be influenced depending upon how all drivers are managed, it’s critical that team marketers manage them strategically. In particular to make sure their numbers better meet fan expectations. But you have to know what the fans really expect – beyond a winning season – to successfully manage those numbers. Oh, and speaking of numbers, the NFL announced Super Bowl 50 will be graphically represented with Arabic numerals instead of the traditional Roman numerals, in use since 1971. The shift in numeric notation is only for this year because – in addition to it being the league’s 50th Anniversary – it was felt that the stand-alone “L” wasn’t pleasing to the eye, proving that numbers are important to different people in different ways. But when it comes to numbers that are really important, we recommend the ones related to fan loyalty. They correlates very highly with emotionally engaged fans, increased game viewership, and increased purchases of licensed merchandise, something every team would like to count on! The Brand Keys Sports Fan Loyalty Index measures all the teams in the four Major Leagues, and reported on the other three major leagues earlier this year. 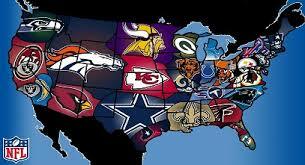 The National Football League is currently rated 1st followed by Major League Baseball. The NBA currently ranks 3rd with the National Hockey League in 4th place. Loyalty is a leading-indicator of behavior and profitability, and is a key statistic professional sports teams should track, since it tells us what fans are going to do. It’s been said that some people think football is a matter of life and death. But depending on your level of fan loyalty, sometimes it can get much more serious than that! Can Brand Trump Become President Trump?